The children were nestled all snug in their beds while visions of sugar plums danced in their heads. And surprise, who should appear? Santa, of course! 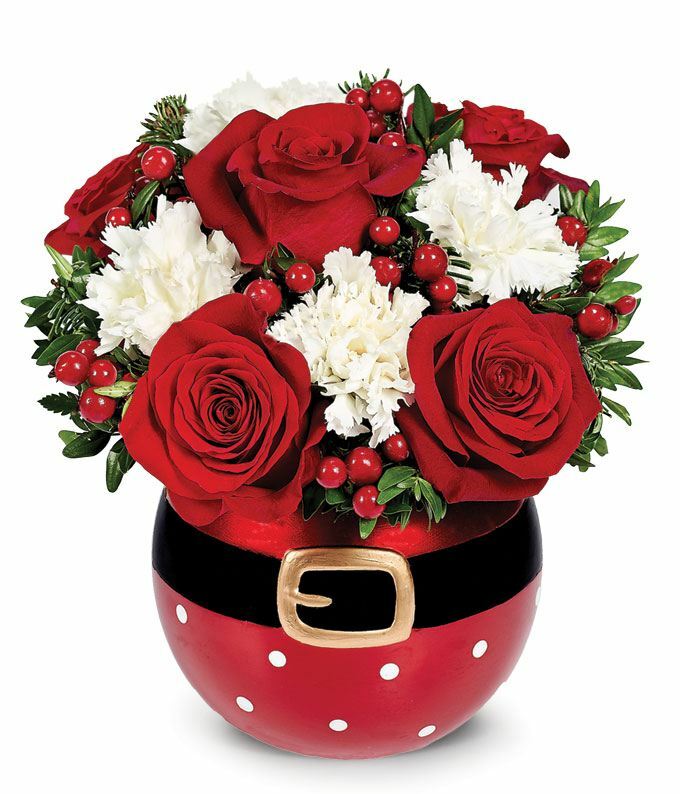 This joyous floral creation features roses, carnations and hypericum in a jolly Santa belt ball planter...a perfect holiday arrangement.